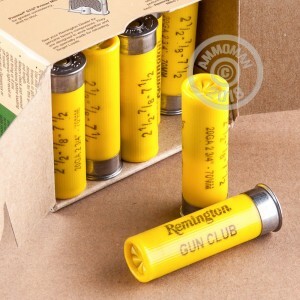 High volume clay shooters will appreciate the low cost and reliable performance of Remington Gun Club target loads. 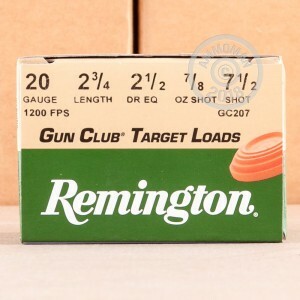 This 20 gauge load is a light-kicking choice suitable for trap shooting. Each 2-3/4" shell in this box of 25 propels a 7/8 oz. column of #7.5 shot to a muzzle velocity of 1,200 feet per second. These shells can be used for upland game hunting as well as clays. 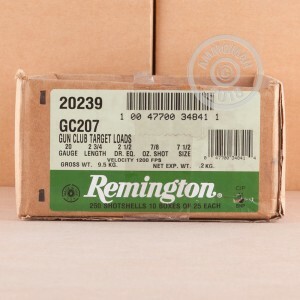 Remington ammo is loaded in Lonoke, Arkansas and continues a tradition that stretches back to the early 19th century.